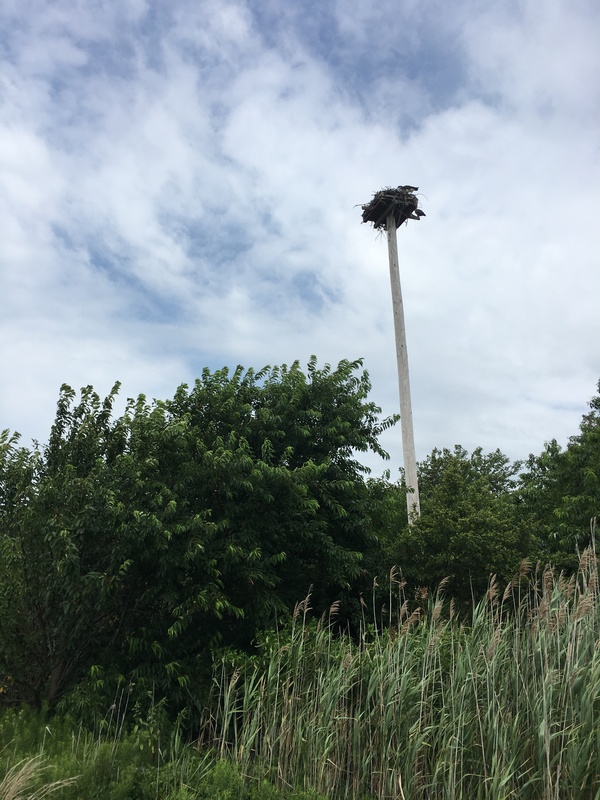 Today, after banding two young ospreys at Island Beach State Park (and streaming it live on Facebook), I contacted Jeanne Lennon with JCP&L. 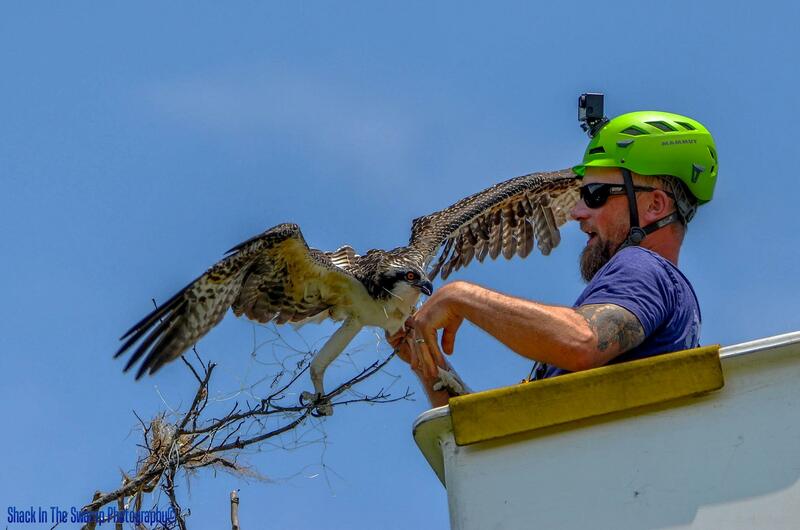 They have equipment that would prove to the critical to the rescue of this young osprey. Jeanne and I talked and JCP&L would be sending down a troubleman to check out the site. I met them there and checked it out as well. 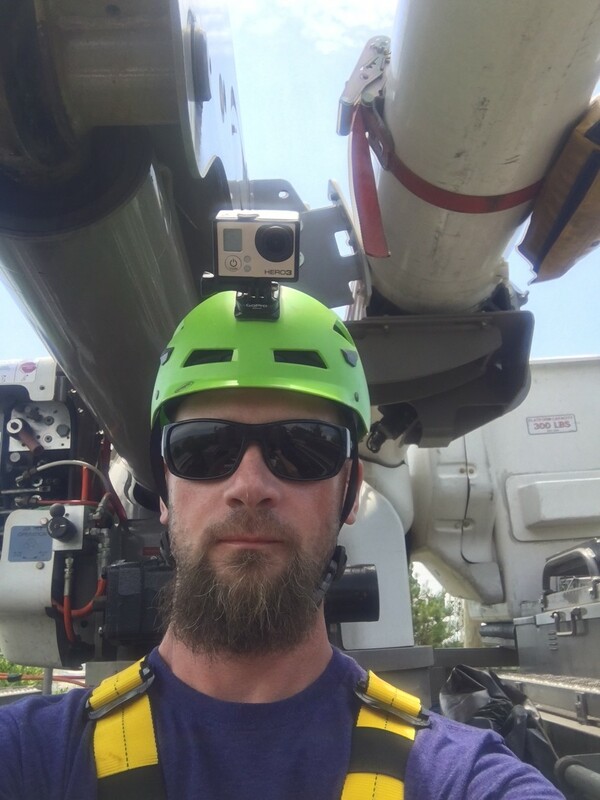 After confirming that the osprey was still entangled and seeing the location/height of the platform, we knew we needed a bigger bucket truck with at least a 40’ boom. An hour later another truck came. In it were John and Joe, who were eager to help me rescue the young osprey. I explained how delicate of a rescue this was, since the bird had the line around its neck. 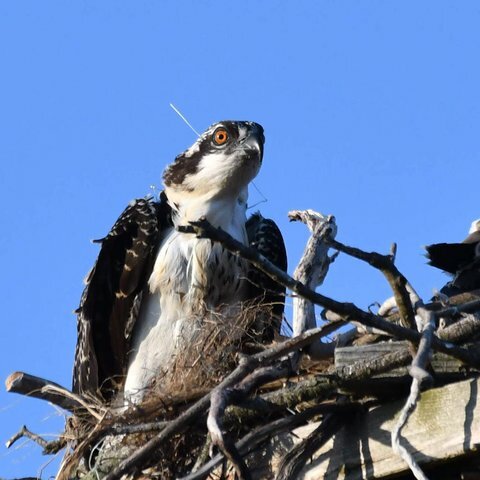 We’d like to thank Rich for being an avid Osprey Watcher and alerting us to the situation. Jeanne L., John, and Joe with JCP&L for providing us with the means to rescue this beautiful young osprey. 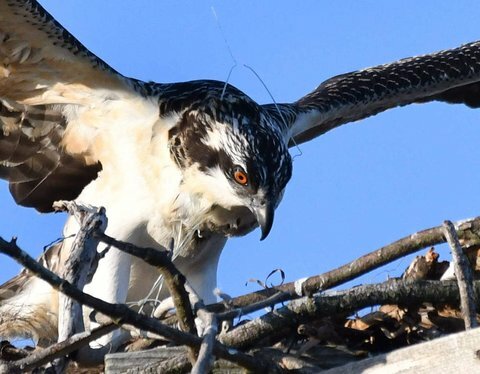 We wouldn’t have been able to save this young osprey without their help. Thank you! 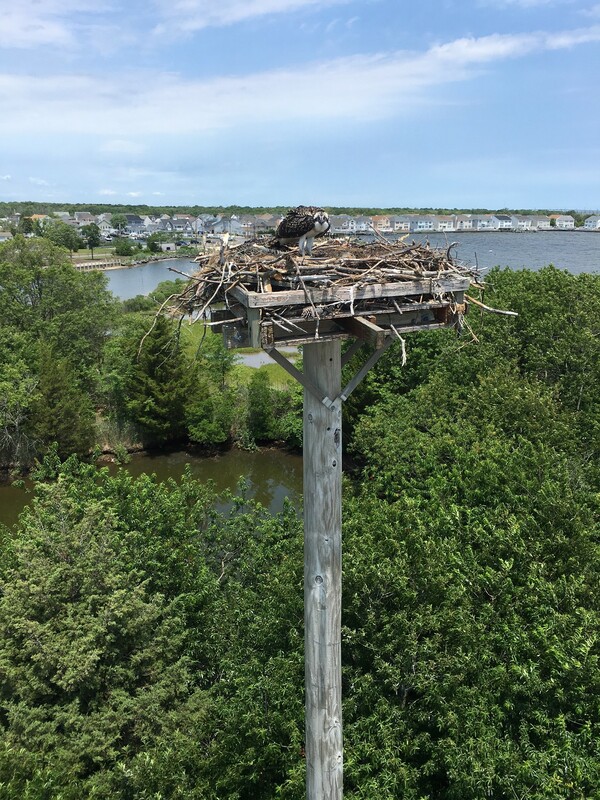 Lastly, please consider donating to Conserve Wildlife Foundation to support our Osprey Project. 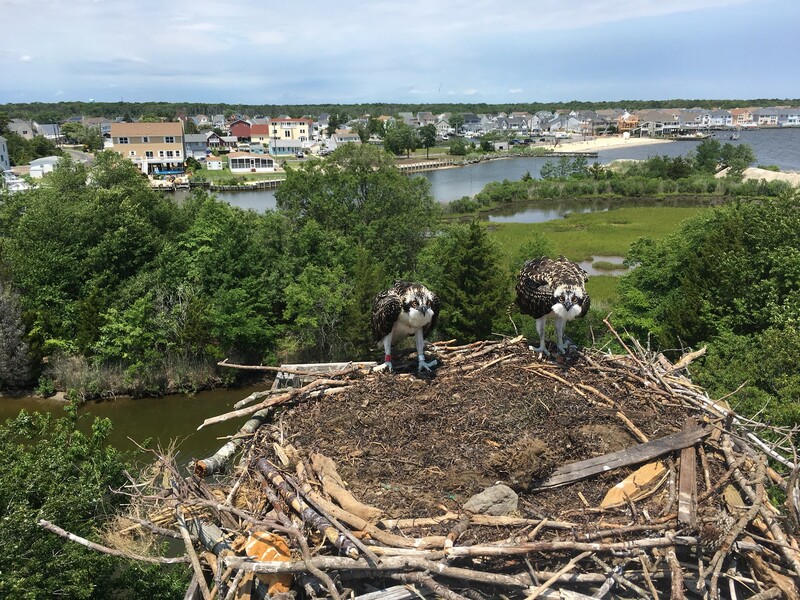 We get no direct funding from the state or federal government, so your contribution will help us help New Jersey’s ospreys! Thank you! Going up to the nest. Joe holds him so I could band him. Happy and back on the nest! 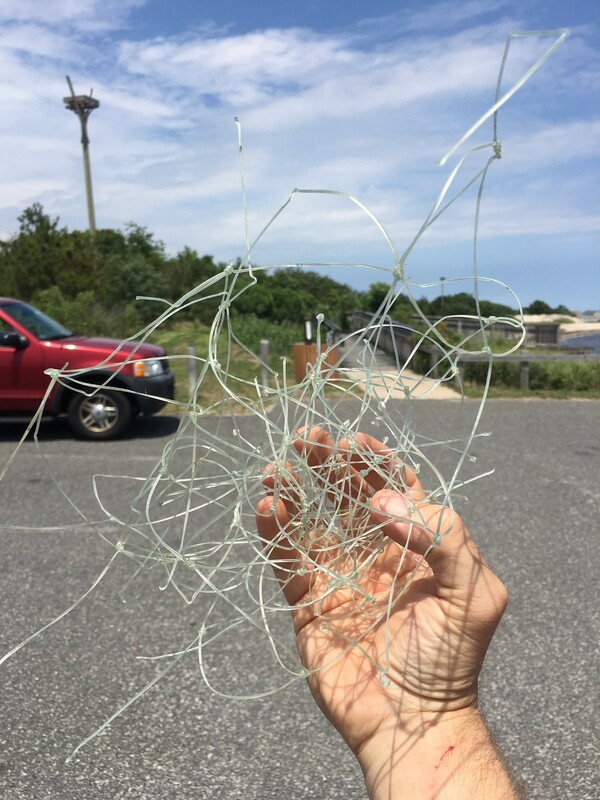 Looks like an old gill net. 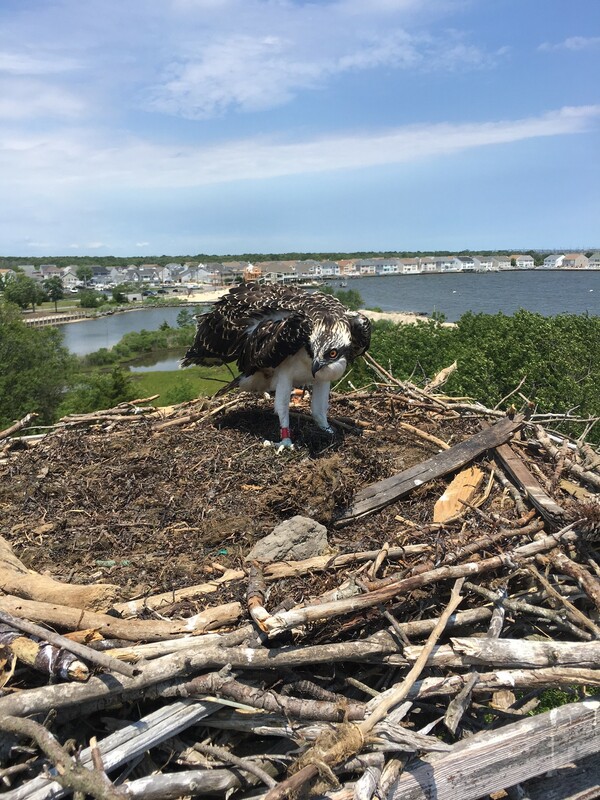 This entry was posted on Wednesday, July 13th, 2016 at 5:01 pm	and is filed under osprey, Wildlife Protection. You can follow any responses to this entry through the RSS 2.0 feed. Both comments and pings are currently closed. Great rescue job! Thanks to all of you! Wow! 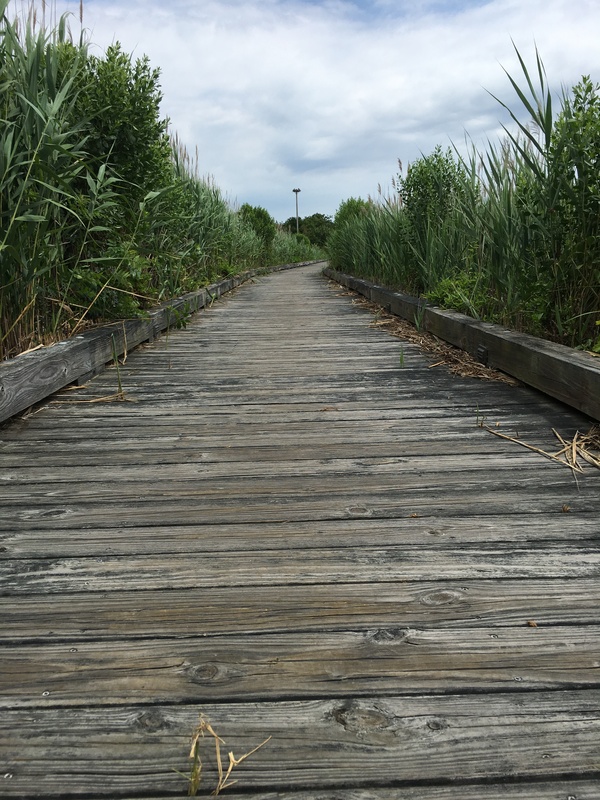 Excellent job by Conserve Wildlife, Ben Wurst and Joe from JCP&L! Beautiful in every way. Thanks for sharing too! Thank you! It was our pleasure! Thank you! Yes, we hope 39/D lives a long and fruitful life! You guys rock! Thank you so much for rescuing this wonderful bird. Another Great Job by Ben Wurst of Conserve Wildlife and thank you Joe from JCP&L! Enjoy your freeflight 39D! Thank you so much !Live long & prosper 39D !! Amazing rescue. Congratulations. You are heroes and I hope you will get to follow this little guy for years to come. Many, many thanks to you – Ben, Rich, Jeanne, Joe, and John. What an awesome, inspiring effort! Go 39D! 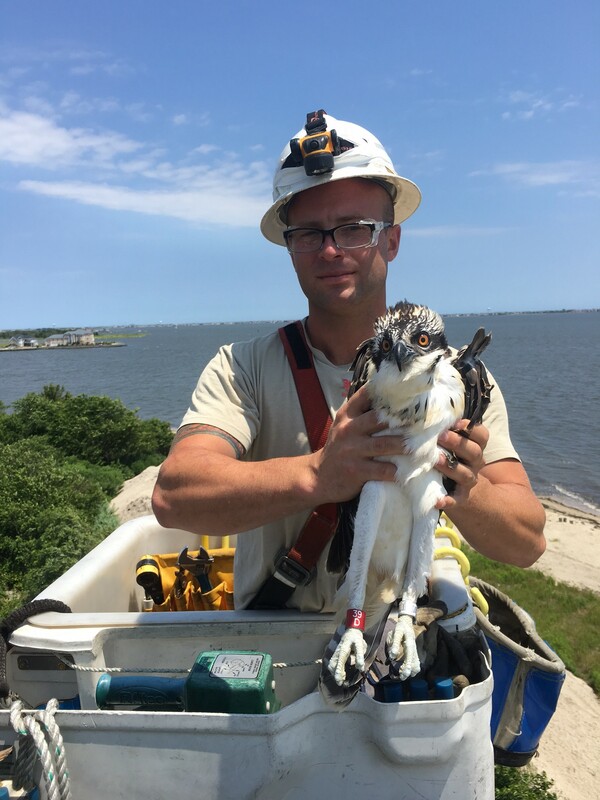 Thank you Ben and your associates with the bucket truck for this amazing rescue and for saving the life of this young osprey. That you for all the work you do to protect these wonderful birds. Never ending.